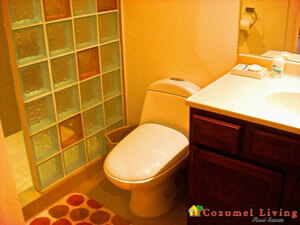 2 Bedroom, 2 1/2 bath condo with nice glass blocks in the baths. 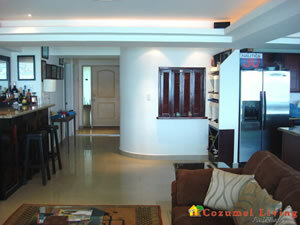 Walkin closets in both bedrooms, SKY TV, Surround sound system (very good). 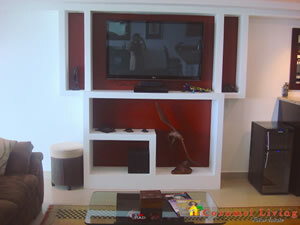 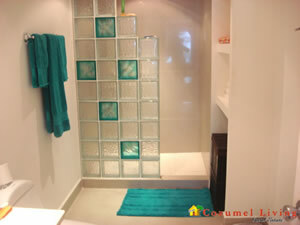 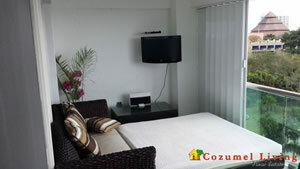 Nicely decorated Unit comes furnished. 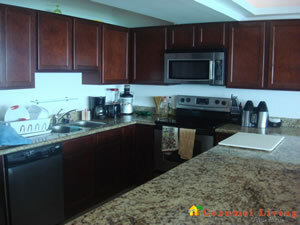 Granite counter tops in Kitchen and in bedroom. 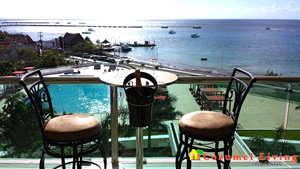 Long patio terrace with a comfortable lounging bed and tv, table and chairs, bar stool and table, barbque grill for grilling on the patio. 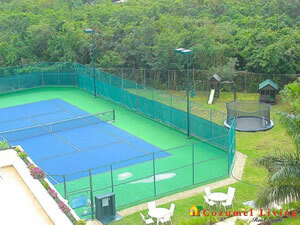 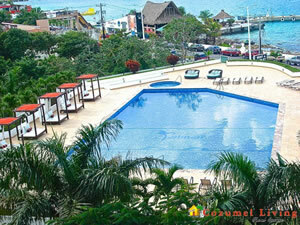 This building has many amenities such as tennis courts, children's play area, trampoline, large pool, pool cabanas for a shady area, nice pool furniture, and plenty of parking with a view toward town and over to Playa. 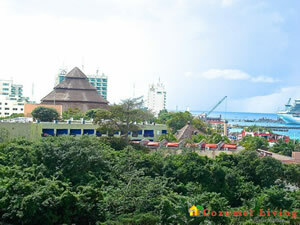 View changes daily due to cruise ships coming and going everyday. 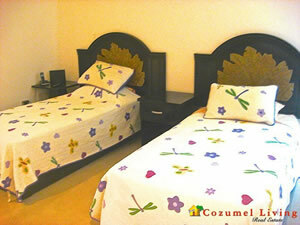 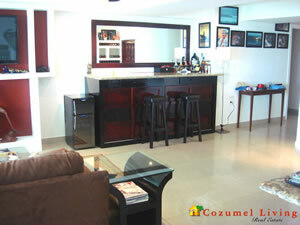 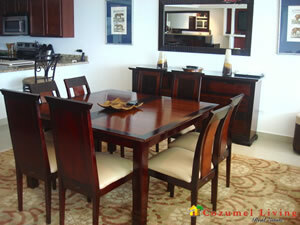 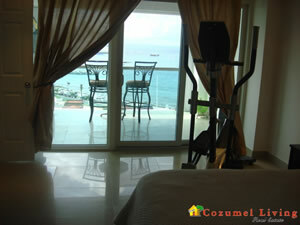 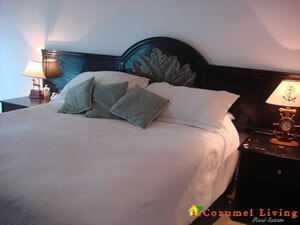 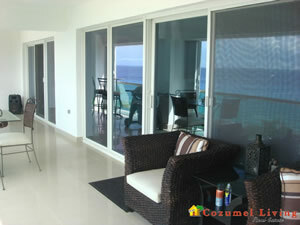 CHECK OUT THE COZUMEL LIVING MULTI-LISTING WEB PAGE TODAY!